Home Unlabelled Fastjet eyes Kenya's Jetlink amid Fly540 legal challenge. Fastjet eyes Kenya's Jetlink amid Fly540 legal challenge. Fastjet has signed a memorandum of understanding (MOU) with Kenyan airline Jetlink Express, which it says will provide a platform for launching operations in the east African country this year. The announcement comes within hours of news that Fastjet subsidiary Fly540 has commenced legal action over the repayment of $6.78 million in debt - a move that had threatened to postpone the launch of Fastjet's planned base in Nairobi, Kenya. "Under the terms of the MOU, Fastjet and Jetlink are working together to create a joint venture which will give a platform for the launch of the Fastjet brand in Kenya," the low-cost startup says. 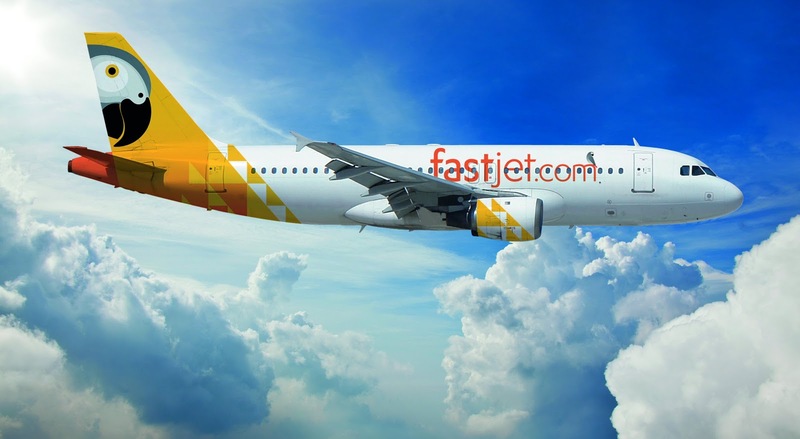 Chief executive Ed Winter adds that the joint venture could see Fastjet aircraft enter the Kenyan market "within the next few months". 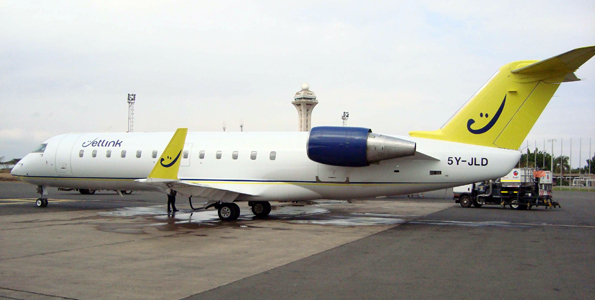 Jetlink suspended operations in November 2012 after encountering funding difficulties in South Sudan. The Nairobi-based carrier has a fleet of seven Bombardier CRJ100s and CRJ200s plus oneFokker F28, according to Flightglobal's Ascend Online database. It operated services to the Kenyan cities of Mombasa, Kisumu, Eldoret and Wajir, as well flying to Juba in South Sudan, and Mogadishu in Somalia. "We believe the partnership will be mutually beneficial and will go a long way in meeting the current demand for capacity on Kenya's domestic and regional routes," says Jetlink chief executive Elly Aluvale. News of the partnership came on the same day that Fastjet responded to legal action by subsidiary Fly540 over the latter's underwriting of $6.78 million in outstanding debt. Fly540 chief executive Don Smith commenced legal proceedings after writing to Fastjet parent Lonrho on 9 January. "The debt relates primarily to the financial support given to Fly540 Tanzania, as well as branches in Angola, Ghana and elsewhere operated by Lonrho Aviation," says Fly540. "Under the acquisition agreement, Lonrho Aviation - now Fastjet - agreed to pay off this bank debt. To date, they have not done so. This money is not owed to any individual or executive of Five Forty Aviation." Fastjet dismissed the legal challenge by saying its acquisition of Fly540 has been "fully consummated" and that no further payments are outstanding. "Mr Smith certified in a document signed by him on 24 July 2012 that - other than specified liabilities as set out in the document - there is no other liability or indebtedness due to him or any entity controlled by him," says Fastjet. The legal action had threatened to disrupt Fastjet's establishment of a second base in Nairobi, Kenya - originally planned for the first quarter of 2013. Speaking to Flightglobal before the Jetlink MOU was announced, operations director Rob Bishton confirmed that Fastjet was seeking "clarity" over unspecified "obstacles" in the Kenyan market. "We're not going to be beholden to it [the Nairobi base] in terms of the business model for this year," he said. "But it is an important piece of the puzzle for us long-term, so when we do see movement that we're confident is clear and transparent then we will move quickly. "We'll only go in there when we're confident that we've got good sight of all the obstacles." Fastjet launched operations in November 2012 in Dar es Salaam, Tanzania, serving two domestic routes with a fleet of three Airbus A319s. The Stelios Haji-Ioannou-backed carrier acquired Fly540 in a reverse takeover in June 2012. It had planned to take over the subsidiary's four air operator's certificates in Tanzania, Kenya, Ghana and Angola. Fly540 has already ceased operations in Tanzania.